Its participants demanded an eight-hour workday, free healthcare and high pensions. 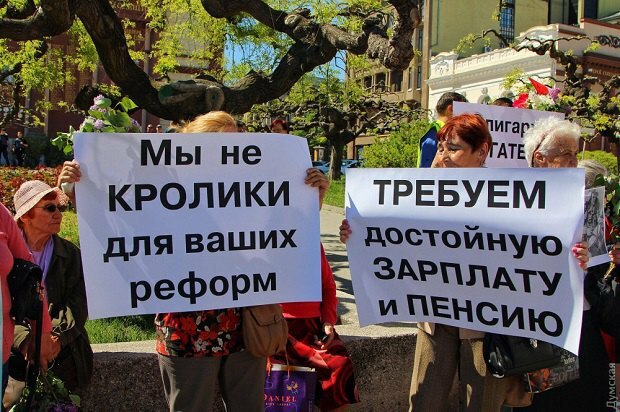 Several dozen pro-Russian activists, most of them older people and pensioners, held a 1 May rally outside the Opera Theatre in Odesa, the local news website Dumskaya has reported. 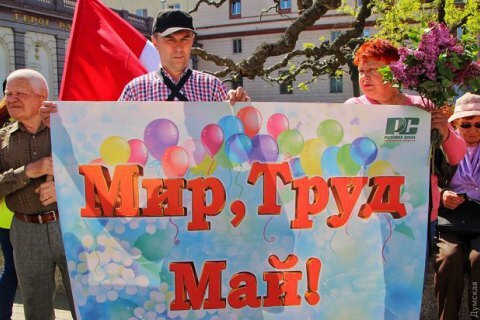 Rally participants headed by local pro-Russian activist Morris Ibrahym demanded an eight-hour workday, free healthcare and high pensions to the sound of traditional city tunes performed by a booked orchestra. After the rally, they attempted to march towards Kulykove Pole but were stopped halfway by pro-Ukrainian activists. After a heated argument, they decided against continuing the march. 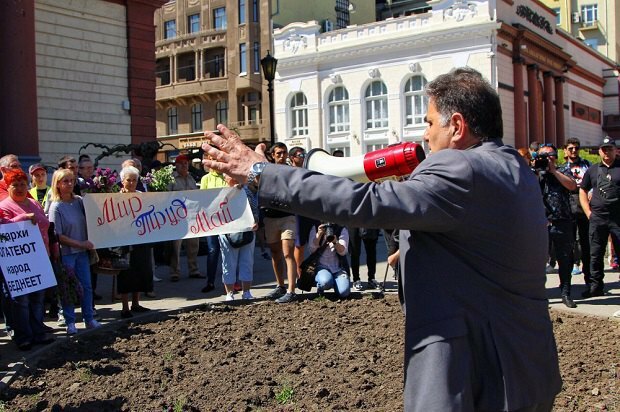 Earlier on 1 May, well-known right-wing activist Serhiy Sternenko was wounded in the neck with a rubber bullet.